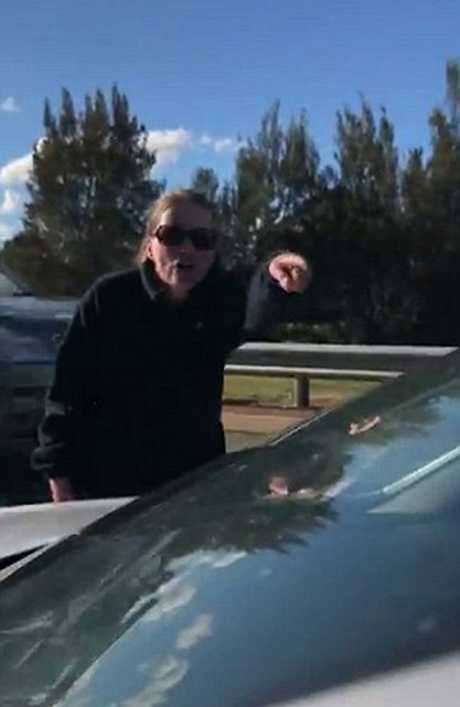 Shocking footage shows an altercation between two motorists that brought traffic to a standstill in Canberra. 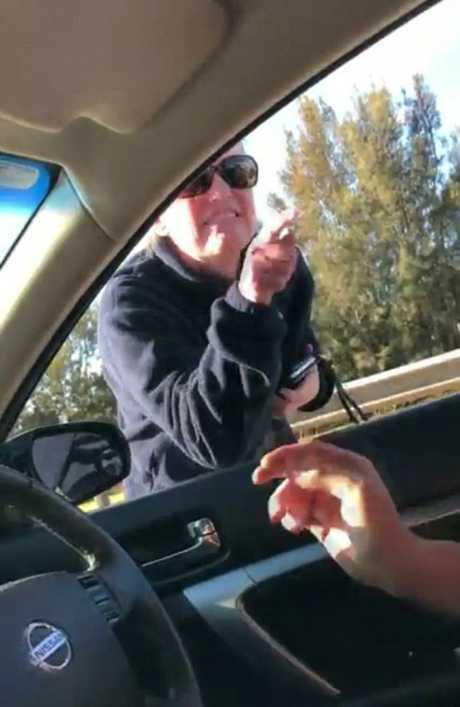 SHOCKING footage shows an altercation between two motorists that brought traffic to a standstill in Canberra. Language warning. 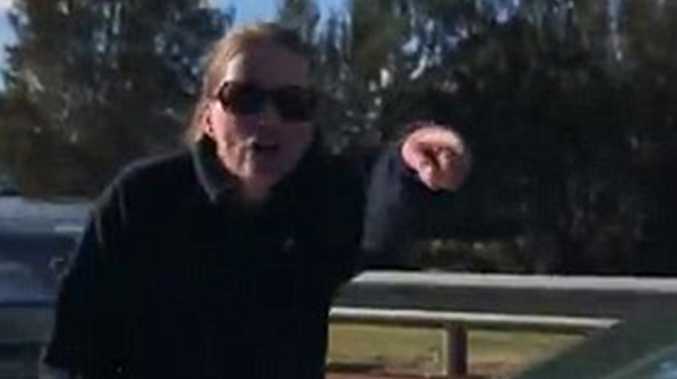 In the video, a woman stops her car in the middle of the road, ignoring the beeping cars and protests of those backed up, to confront the motorist directly behind her. "You've just come to a complete stop on the road!" the driver yells out his window, while the passenger next to him films the incident. 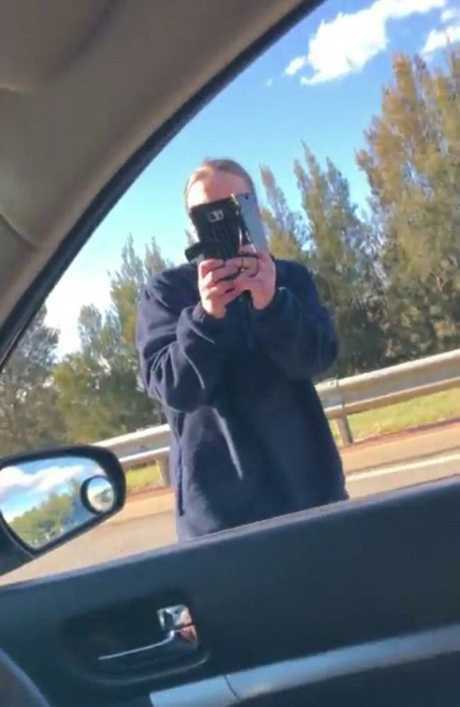 The woman threatens to call the state police in response, walking around the vehicle taking photos of the driver and his numberplate. The driver yells: "Go on, get in your f**king car! Cutting us off, and then coming to a complete stop on the road, causing an accident! "Excuse me! Maybe if you weren't sitting so close you wouldn't have had to slam on the f**king brakes!" the woman shouts back. "It's one car, you dumbass! There's no rule saying I can't merge!" Later, the woman shouts, "I'm going to sit here until the cops turn up!" and refuses to budge. A male driver caught behind them can be heard yelling: "We've got things to do!" Another woman walking past begins filming the incident. At the end of the video, the filmer speaks to drivers backed up behind them. "We witnessed it all, if they need anything we've seen it all, and she was the aggressor," a witness says. The woman ignores the beeps of the cars backed up behind her as she takes photos of the driver. The incident appears to have been sparked by a dispute over who had right of way while merging. According to the 2018 ACT Road Rules Handbook, when one lane ends - as indicated by a dotted give way line - the car in the lane ending must give way to any vehicle in the lane it is joining. In cases where the lane separation line is ending and both lanes of traffic must merge into one lane, the vehicle that is ahead has the right of way over the trailing vehicle. The woman and the man she confronted swore at each other in a furious battle. The passenger who filmed the incident submitted the footage to ViralHog, an online content distributor. In the submission, the passenger claimed they were cut off before the merging lane. "(The driver) took over two lanes. She was driving in the middle of the road. We were in traffic, so we were travelling a good couple meters behind her," the passenger said. "She slammed on her breaks on purpose, almost causing us to run into her, so we gave her the finger. She then pulled her car over in the middle of the road causing more then (sic) 30 cars to stop behind us. "I pulled my phone out straight away being the passenger. I managed to record all of it. "Multiple members of the public were trying to get her to move her car. She got out and started abusing everyone, mainly us. Multiple other people intervened due to she was acting reckless and breaking the law. 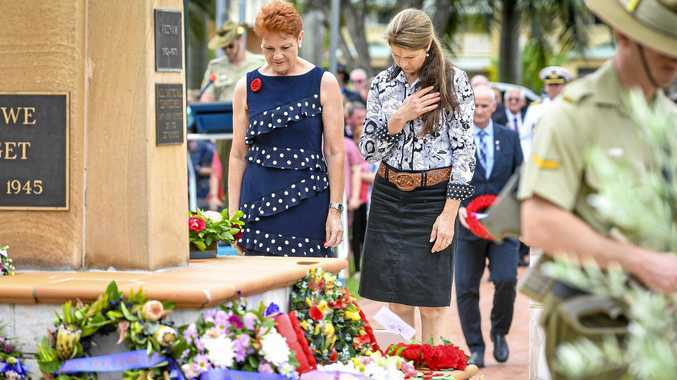 You can hear people yelling and screaming at her to move. Honking and a lot of foul language. "She refused to move because she accused us of making a scene. After we threatened her with police she took off."